Mirrored walls, a rubber gym floor, distributed audio and video and a wide variety of cardio and weight equipment outfit this custom home fitness center. 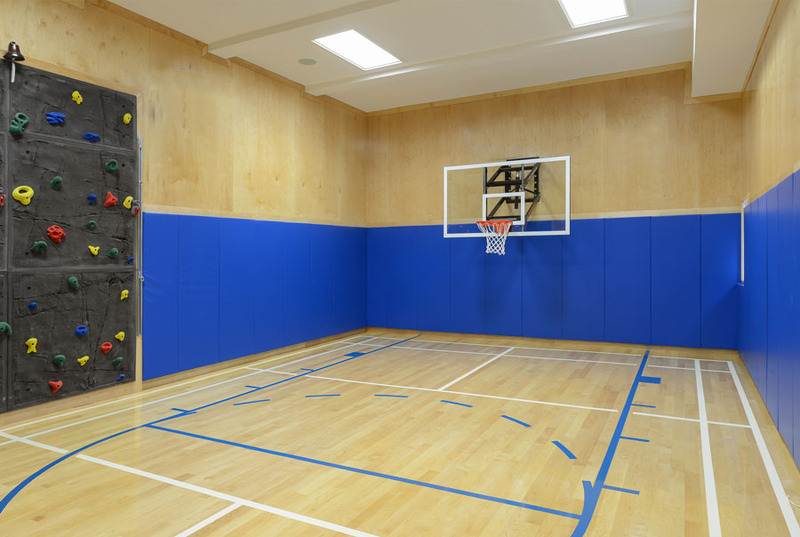 An existing unfinished space under the three car garage of this home was turned into a half-court basketball court with badminton and a rock climbing wall. Finishes includes maple hardwood floors and maple walls clad in protective padding. 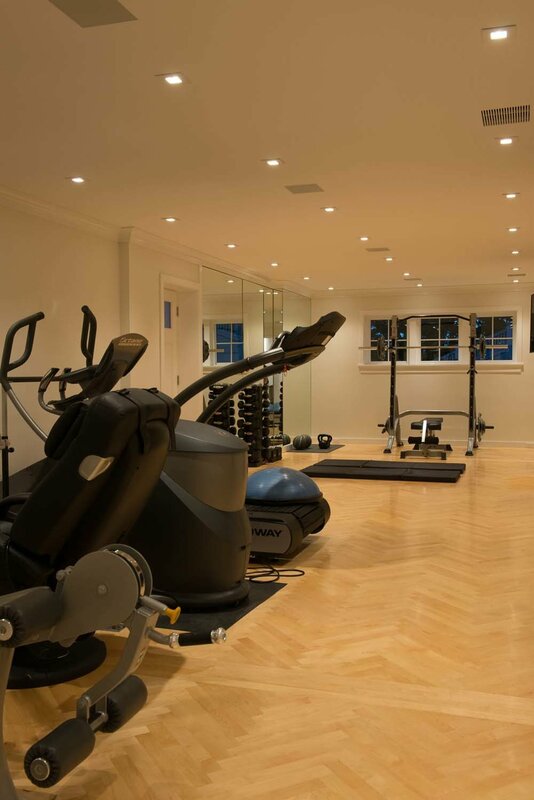 This waterfront home received an extensive gut-renovation and addition and one of the homeowner's wishes was to have a complete and luxurious home gym and spa. Pale wood outfit the spa bathroom and changing area.